Welcome to the mountain desert. transfer to the hotel. Complete a smooth check-in process and spend the day to relax and acclimatize to the high altitudes of Ladakh. 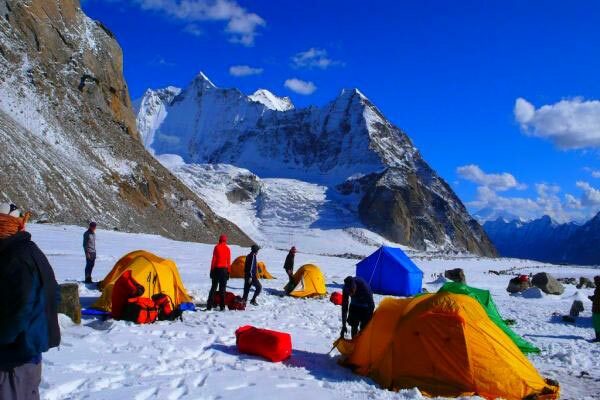 This Ladakh package demands you to adjust with the extreme weather and proper rest is very important to and remain energetic throughout this adventurous journey. At night have your dinner at the hotel and sleep sound for an exciting tomorrow. Tip: When you’re more than 11,000 ft high, you’ll start to feel the atmospheric changes and a drop in oxygen level which can cause acute mountain sickness. Make sure to consume a lot of water and get maximum sleep to avoid any troubles. On the second day of your Leh trip, relish a fresh breakfast and leave for the enchanting Pangong Lake. 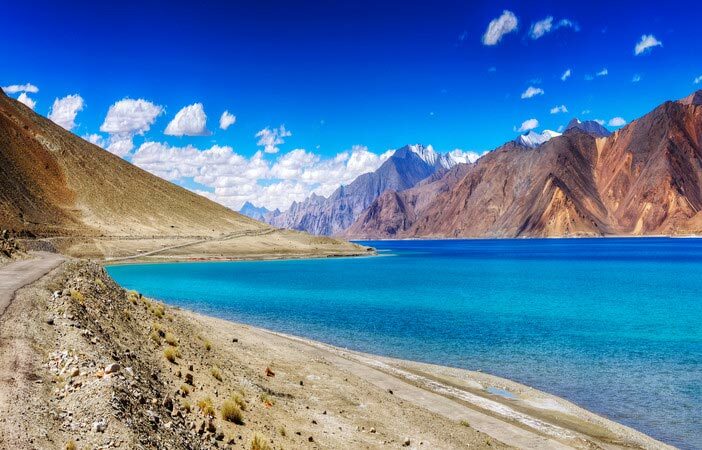 On your breathtaking journey to Pangong Tso, you’ll cross the world’s third highest motorable pass -- Chang La, situated at an altitude of 17,590 feet. As you reach the lake, you’ll witness the beauty of the changing colors of this high altitude grassland lake. The excursion to Pangong Tso Lake will take you to the 3 idiots school. After an eventful day, you’ll return to Leh and spend the second night of your thrilling Ladakh trip at your hotel, after having dinner. This zestful Leh Ladakh tour package takes you to a beautiful unexplored valley of flowers -- the Nubra valley. After an early morning breakfast, you’ll leave for Nubra Valley crossing the highest motorable road in the world -- Khardung La Pass, situated at 18,380 ft. With hairpin bends, curvy roads, extremely deep valleys and a beauteous destination ahead, the third day of your Leh-Ladakh trip will captivate your heart. This valley of flowers and is situated at the northernmost edge of Ladakh between the Karakoram and Ladakh ranges of the Himalayas. In the evening, pay a visit to the Samstanling Monastery. Another hectic yet alluring day of your Leh tour itinerary ends in the village of Hunder with a freshly prepared dinner, a campsite stay and tremendous amount of stargazing before falling asleep. Adventure in the desert land of Leh and the double humped Camel safari make your day 4 of Ladakh itinerary super exciting. Have an early morning breakfast at the camp in the morning and head for Diskit Monastery. Your Leh Ladakh vacation is incomplete without a double-humped camel safari in the sand dunes (charges extra) of Hunder. Later, you’ll travel back to Leh via Khardung La. Reach your hotel in Leh, late in the evening, and enjoy your dinner. Sleep comfortably in your hotel to energise yourself for another beautiful day of your Ladakh itinerary. Go on a sightseeing tour and cover the most popular tourist attractions of Leh-Ladakh. Spend a happy and leisurely day today in Leh. There’s a lot to see and explore in Leh Ladakh and you wouldn’t want to miss it. Begin the sightseeing day of your hassle free Ladakh tour package with a visit to the famous and age old Leh Palace. Other places you get to visit include Hall of Fame, Shanti Stupa, Tsemo Fort and the Leh Market. You could also go a little farther till Hemis Monastery & Stok Palace to explore the beauty of the place. Spend the night back at your hotel and end the fifth day of your 7 nights and 8 days Ladakh tour package. Tip: Buy souvenirs like Pashmina, traditional trinkets, and sarongs from Leh market. Bid adieu to Leh with joyous memories and get ready to drive on the serpentine roads to reach the martyr's land, Kargil - the second last destination on your 8 days Leh-Ladakh tour itinerary. This day of your Leh Ladakh tour itinerary is going to be eventful. You’ll be driven down to Kargil from Leh after an early morning after breakfast at your hotel. 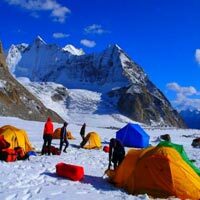 On the way, you’ll cross the beautiful Sham Valley that includes various famous tourist attractions such as Gurudwara Pathar Sahib, Magnetic Hill, Confluence of Zanskar and Indus Rivers, Basgo Palace, Likir Monastery, Alchi Monastery and Lamayuru. After reaching Kargil late in the evening, check into your hotel, relish a delectable dinner and stay for the night. Tip: There are a lot of places to visit in Sham valley. It is advised that tourists leave early in the morning to be able to cover a majority of them. Head to the beautiful city of Srinagar through the ‘meadow of gold’. 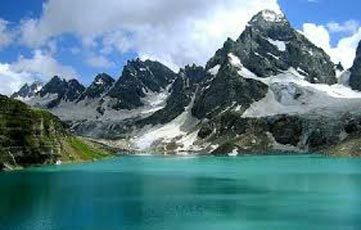 On the seventh day of your Leh Ladakh tour package itinerary, you’ll be heading to Srinagar and on the way, visit the breathtaking Sonmarg. Renowned for Thajiwas Glacier, the place offers gorgeous Himalayan views. Make the best out of your Leh Ladakh holiday with a visit to the beautiful Zojila Pass and Baltal Valley at Sonmarg. Next, you’ll visit Drass village -- the second coldest inhabited place in the world. You’ll reach Srinagar late evening where you can check either into your hotel or houseboat. End your adventurous day with a comfortable stay. Optional: There are various activities in Sonmarg that you can enjoy like paragliding (charges extra) and trekking. On the last day of your Leh Ladakh tour itinerary, explore the paradise on earth and bid adieu with fond memories! In the morning after having a hearty breakfast, prepare yourself to explore the charming city. 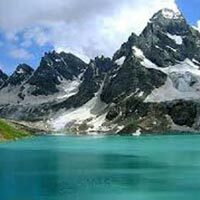 Your Srinagar sightseeing tour includes a visit to Shankaracharya Temple, Mughal gardens, Tulip garden, Dal Lake and Nagin Lake. In the evening, with pleasant memories bid adieu of the northernmost region of India, and leave for Srinagar airport.